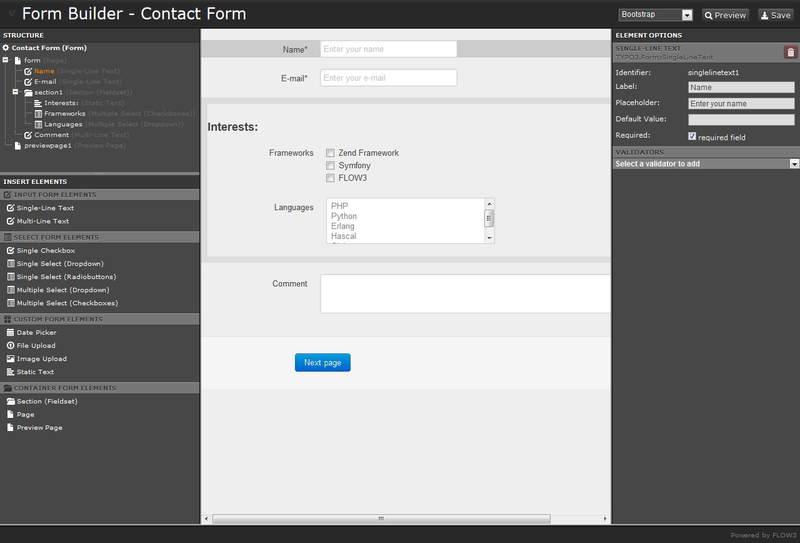 The Form API is an extensible and flexible framework to build web forms. This documentation contains a number of tutorial-style guides which will explain various aspects of the Form API and the Form Framework. It is not intended as in-depth reference, although there will be links to the in-depth API reference at various points. This work has been generously sponsored by AKOM360 - Multi Channel Marketing. © Copyright 2012 and onwards by the authors. Revision 6989269e.